Huge canyon discovered under Greenland ice. Canyon : is a deep ravine between cliffs often carved from the landscape by a river. One of the biggest canyons in the world which is 800km long and up to 800m deep carved out by a great river more than four million years ago, before the ice arrived. 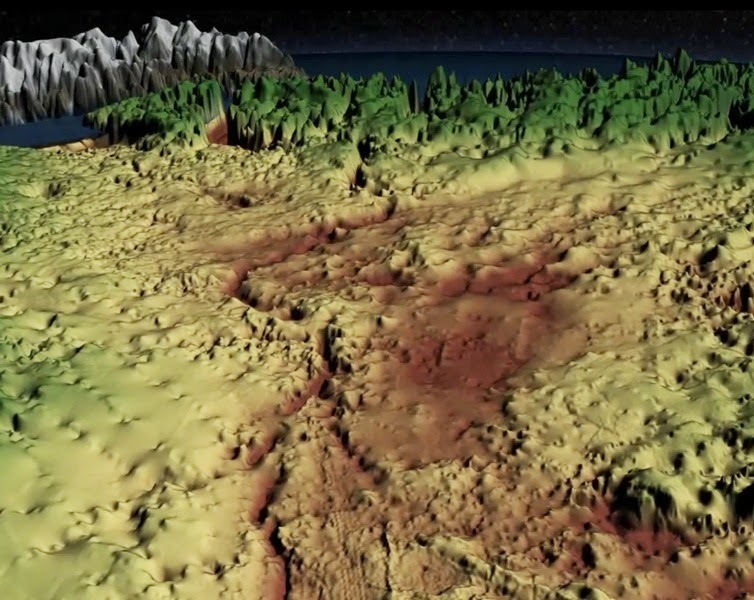 The canyon was found after scientists analysed radar signals collected by Nasa.